The folk from Butlers Farmhouse Cheeses have shared their ideas on how to make the perfect Christmas cheeseboard. This notable cheesemaker is from Lancashire in the UK, but the advice holds true wherever you are in the world. 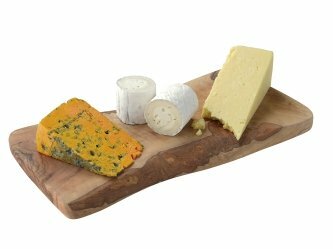 We think that the ideal cheeseboard need only have three types of cheese: one hard, one soft and one blue. It is much better to have a nice-sized piece of three outstanding cheeseboard cheeses over Christmas rather than many small packs which can dry out or be non-descript and which end up unloved at the back of the fridge come the New Year. This cheese is hand-made on our family farm in Inglewhite to our original recipe using milk from our own cows. What makes it stand out from the crowd is its complex, savoury flavour which gives a multi-dimensional explosion of taste in the mouth. The open, buttery crumble texture means it is less “heavy” to eat than a Cheddar but it will still appeal to the widest range of people. If you can, get a nice piece cut for you from a deli-counter but if this is not possible look for the Butlers brand name on pre-packs of farmhouse or tasty Lancashire sold my many supermarkets. Our famous orange-hued Blacksticks Blue provides the splash of colour, the blue cheese taste and the unusual all at the same time. It is milder and creamier than a Stilton and deliciously soft and squishy. Chef Simon Rimmer is one of its many fans. He describes it as “The Daddy of all Blue Cheeses”. Packs of Blacksticks Blue are widely available but also look out for miniature whole truckles of Blacksticks Blue in Sainsbury’s and Booths this Christmas as well as a stunning whole Blacksticks Blue mini truckle with fig glaze and dried fruits which you will find in Marks & Spencers. Try this instead of your usual Brie. It is made with goats’ milk and has a mild creamy taste but it also looks marvellous on a cheeseboard with its beautiful white coat which develops through a layer of coconut ash as the little handmade cheese has been matured. The result is a firm outer coat, a squishy inner layer and a fluffy centre. British and Delicious! And that’s one cheesemaker’s advice on how to make the perfect Christmas cheeseboard!